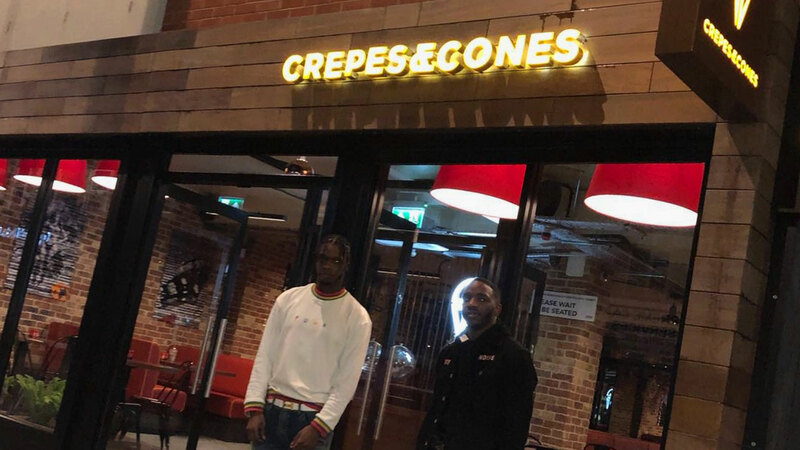 MOBO Award winning grime duo Krept & Konan, otherwise known as Casyo Johnson & Karl Wilson, just announced the launch of a new dessert restaurant called “Crepes & Cones”, which is set to open in Croydon on May 12th. Advertising themselves as “not your average dessert spot” in another post on Instagram, the pair spoke about their plans to stock a full-range of halal-friendly food items in their new Croydon location. 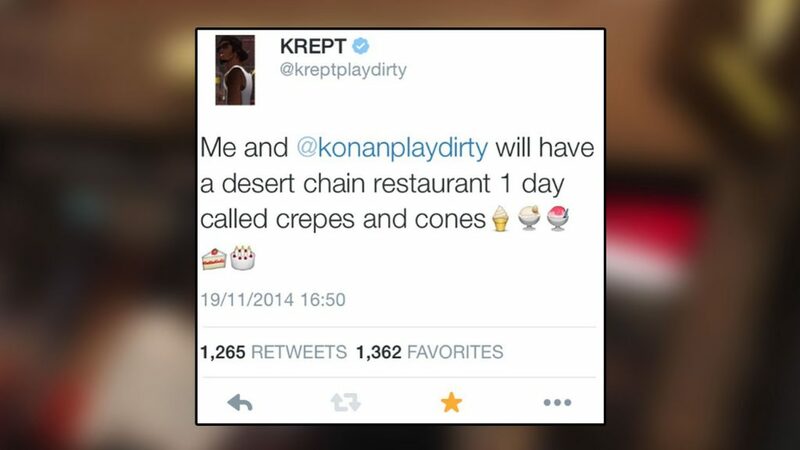 A tweet from 2014 which was Retweeted by Krept shows that the idea to create Crepes & Cones has been in the works for quite some time. In order to promote the launch new store the pair have put together a promotional music video featuring appearances from the likes of popular artists such as Big Narstie, Mo Stacks and J Hus. 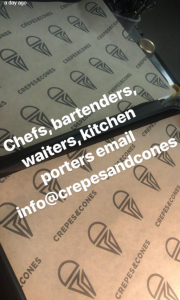 It is interesting to note that with just one week to go until the big day, Crepes & Cones is still looking for staff, and just yesterday posted information on how local residents can apply on Snapchat. Currently, the website for Crepes & Cones (http://crepesandcones.com/) remains unreleased as a holding page. However, you can follow the progress of Krept & Konan’s new venture, Crepe’s & Cones, via Twitter @crepesandcones. In other musical pursuits, Krept & Konan continue to see success with upcoming plans to release 2 new music videos as well as confirming their largest ever headline show at the Alexandra Palace on October 25th.